Michael Moore, tubist with the Atlanta Symphony for 50 years, has been ASO ICSOM delegate for the past 34 years, and in 1986 was the host delegate for the annual ICSOM conference. He has served in every capacity except secretary on his orchestra committee, and is currently treasurer, as well as a member of numerous subcommittees and taskforces. He has been on the ASO negotiating committee for the past 10 contracts, including two strikes and two lockouts. He has served on the executive board of Local 148-462 for the past 30 years. He is also founder of the Atlanta Brass Society, Inc. and Atlanta Symphony Brass Quintet. 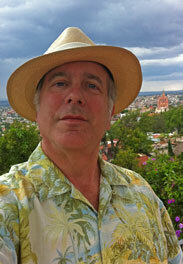 He spends most of each summer in San Miguel de Allende, Mexico. He served 12 years as an ICSOM member at large before becoming ICSOM Treasurer in 2002.